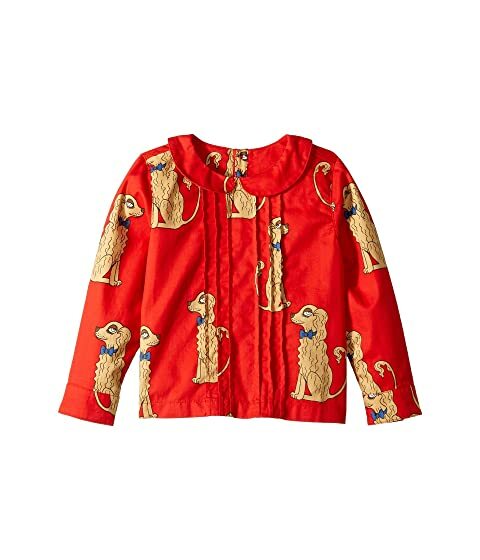 Your little one will look adorable in the mini rodini™ Spaniels Woven Pleat Blouse. Relaxed fit with fox family print throughout. Peter Pan collar with pleated front. Product measurements were taken using size 92/98 (2T-3T Toddler). Please note that measurements may vary by size. We can't currently find any similar items for the Spaniels Woven Pleat Blouse (Infant/Toddler/Little Kids/Big Kids) by mini rodini. Sorry!